When eCommerce entrepreneurs Kevin Dorren and Andrew Veitch saw a niche in the market to provide a small range of premium, carefully crafted and distinctively flavoured beers for the discerning food lover, Brewhive became a reality. 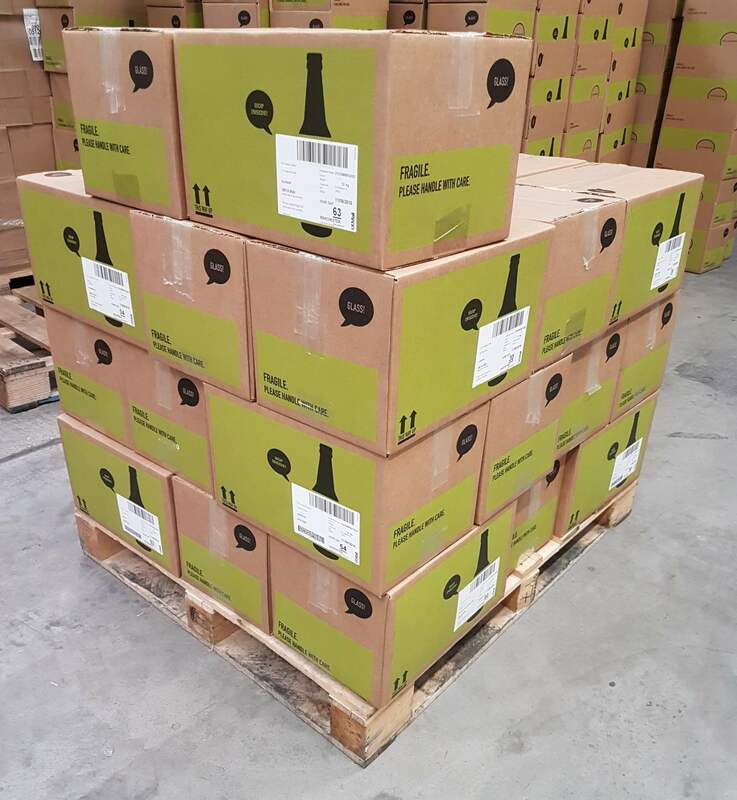 The challenge for their latest online venture however was how to transport glass bottles and fragile beer glasses to consumers in the most cost effective manner while offering the highest levels of protection. Working with Antalis Packaging to design and develop specialist cartons, Brewhive now has the solution, offering outstanding protection at reduced costs and with minimum waste. Launched in August 2015, Brewhive’s USP lies in the sourcing, provenance and selection of ingredients that are carefully mixed to give each beer its unique recipe and distinctive taste. Equally important is the safe, secure and cost efficient delivery of the bottles to its end-consumer target audience. With its heritage in ecommerce, Brewhive has engaged the services of external expert suppliers to ensure the overall experience of product, service and delivery matches consumer’s expectations. While recipe development and brewing is the domain of highly trained master brewers, the development of suitable packaging for the glass-bottled beverages lies with the expert development team at Antalis Packaging. "We’re delighted with the outcome which has resulted in a 50% reduction in consumables costs for Brewhive by introducing the new cartons." Having worked with Brewhive’s sister businesses, The Fine Coffee Club and Diet Chef, the Antalis Packaging team already had a well-established working relationship with the organisation, and understood there was no ‘on the shelf’ solution to Brewhive’s requirements. The brief from Brewhive also needed to address the impact and ease of consumer handling and disposal of the protective packaging. Having considered all void-fill solutions, from cushioning, suspension, air-pack products, foam and even chemical mouldings, Antalis Packaging finally opted for a carton made from corrugated board that could easily be recycled in domestic environments. Brewhive started by offering orders ranging from 6 to 24 bottles per order. However, after the first few months of trading, it saw the emergence of a new and distinct purchasing pattern amongst their customer base, which provided the opportunity for them to revisit their minimum sales orders and adapt their packaging requirements to cater for this new offering. “Through the various tests and process we had undertaken during the initial design phase, we were confident that corrugated cardboard was the right substrate to use. We therefore set out to review the outer carton and develop and test ways in which we could reduce the size without compromising on protection levels,” explains Bisland.